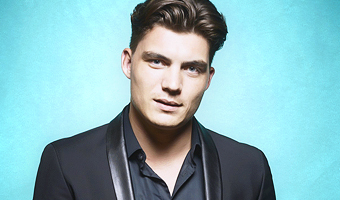 IT was a busy week for Hollywood actors Zane Holtz and DJ Cotrona: they were in Mauritius for another DStv media event before making their way to South Africa. These two have ingratiated themselves into the hearts of fans with Robert Rodriguez’s TV series adaptation of the From Dusk Till Dawn cult movie franchise, which he did with Quentin Tarantino. While shorter in person, Cotrona is every bit as dashing as he looks on camera; as is the lankier Holtz. In fact, both are distractingly attractive. Cotrona is the more talkative of the two and Holtz has a more intense disposition. He was then asked to audition for Richie. That was followed by a reading with Cotrona. While Holtz clearly had the role in the bag, he continued to hover around, much to Cotrona’s annoyance. “He was still trying to seal the job and kept asking questions. I kept thinking, please shut up, you got the job,” laughs Cotrona. In the first season, Don Johnson made an appearance. The second instalment sees Rodriguez’s mascot join, as well as a few others. From Dusk Till Dawn is the kind of action-packed TV series that sometimes feels like an old school gangster crime drama and then meanders into grind house/horror territory. One thing is for certain – this show lives up to the cult legacy of its movie franchise, and then some. From Dusk Till Dawn airs on M-Net Edge on Mondays at 9pm. In 2007/2008, Cotrona was slated to play Clark Kent and Superman in George Miller’s Justice League: Mortal. In addition to a DJ Cotrona Superman, the film would have featured Armie Hammer as Batman, Megan Gale as Wonder Woman, Adam Brody as The Flash, Common as Green Lantern, Santiago Cabrera as Aquaman, Hugh Keays-Byrne as Martian Manhunter, Teresa Palmer as Talia al Ghul, and Jay Baruchel as Maxwell Lord. Ultimately, the film fell victim to the 2008 WGA strike. I asked him to share what he remembered of that film’s development and what it could have been, and Cotrona was happy to oblige. The success of Mad Max: Fury Road drove renewed interest in Miller’s attempt to make Justice League, which was set up in 2007, yeas before the new Zack Snyder universe incarnation even began to take shape. Cotrona said that everything worked out the way it was supposed to, since we might not have Fury Road if Miller had completed work on Justice League. Although Miller had directed the successful Happy Feet movies for Warner Brothers, audiences weren’t as familiar with his live-action work at the time he was developing Justice League. (Miller’s most recent live-action film at the time was Babe 2, from 1998.) It was also pre-Marvel Cinematic Universe. Looking back, Cotrona still treasures that he got to work with Miller. He’s kept in touch and reconnected with Miller when the director did an episode of Robert Rodriguez’s El Rey series The Director’s Chair. Cotrona says the lessons he learned working on Justice League still help him in his current acting work. “It was a bummer that it fell apart but I made great friends on that project,” Cotrona said.